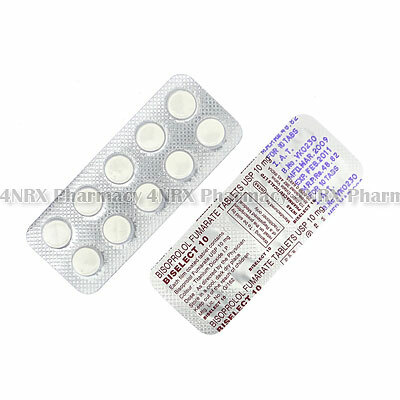 What is Biselect (Bisoprolol Fumarate) used for? 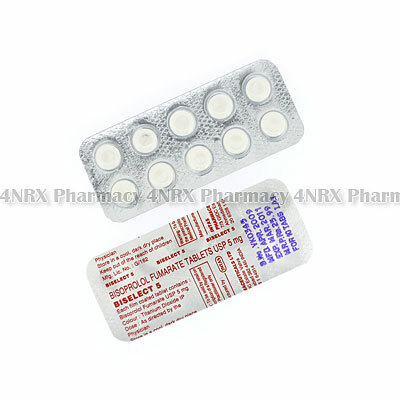 Biselect (Bisoprolol Fumarate) is an oral beta-blocker prescribed to treat patients suffering from hypertension. The medication reduces the amount of work required by the heart to circulate the blood. This can reduce symptoms such as faintness, headaches, or chest pain. Your doctor may prescribe this medication along with others or for the treatment of other unlisted conditions. How should I use Biselect (Bisoprolol Fumarate)? Biselect (Bisoprolol Fumarate) is typically prescribed to be administered once daily at a dosage of one tablet, but your individual directions will be determined by your doctor based on your age, weight, health condition, and the severity of your symptoms. These should be swallowed with a large glass of water and may be taken on an empty stomach, although a snack or meal is suggested prior to use if you experience nausea. Never crush or split the tablets before taking them as this may destroy or alter the effects of their contents. 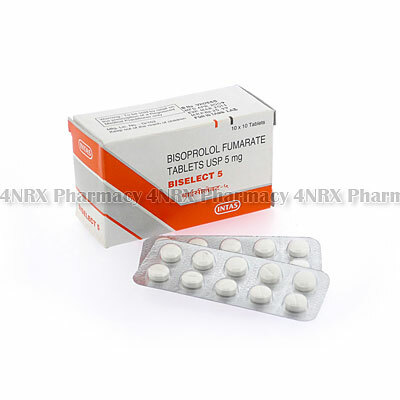 What are the side effects of Biselect (Bisoprolol Fumarate)? Serious side effects possibly requiring immediate medical attention are confusion, irregular heartbeats, shest pain, trouble breathing, swelling of the extremities, numbness, painful urination, or hallucinations. Contact your doctor as soon as you experience any serious side effects to make sure the necessary alterations are made to your dosage or application frequency. Do not begin using Biselect (Bisoprolol Fumarate) if the patient is a child or if you have uncontrolled heart failure, 2nd or 3rd degree heart block, hypotension, bradycardia, sick sinus syndrome, peripheral arterial disease, severe asthma, severe chronic obstructive pulmonary disease, metabolic acidosis, an untreated tumour of the adrenal gland, or cardiogenic shock. Also inform your doctor if you have asthma, chronic obstructive pulmonary disease, history of psoriasis, history of allergies, angina, 1st degree heart block, heart valve disease, congenital heart disease, hyperthyroidism, a recent heart attack, decreased kidney function, decreased liver function, or if you are undergoing desensitisation therapy for allergies. These conditions may lead to unexpected health complications requiring alterations to your regimen. 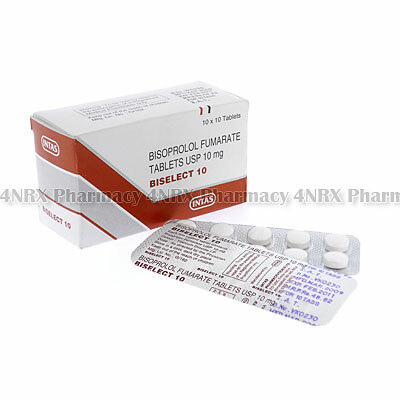 Strictly use Biselect (Bisoprolol Fumarate) as prescribed and follow all instructions provided by your doctor. Safe, suitable, and optimum dosage can vary and is dependent on the patient`s health and medical history, as well as the condition you are treating. Biselect may not be safe or suitable for all patients. Always ensure your doctor is informed if you are pregnant or breastfeeding, using any other type of medication (including non-prescription medicine, vitamins, and supplements), as well as if you have any allergies, other illnesses, or pre-existing medication conditions.